Mercado in Sydney is all about the revival of forgotten kitchen skills. The team are passionate about whole animal butchering, meat curing, cheese making, bread baking and preserving. This hard work behind the scenes definitely pays off in the very Moorish Spanish style food. We arrive without a reservation on a Tuesday and the large restaurant space in front of the kitchen is fully booked. We are seated on a small side table behind the bar and notice another dining area behind the kitchen and bar. Mercado sits in the CBD’s bustling Angel Place, a popular restaurant hub for theatre goers, tourists, Sydney professionals and locals. 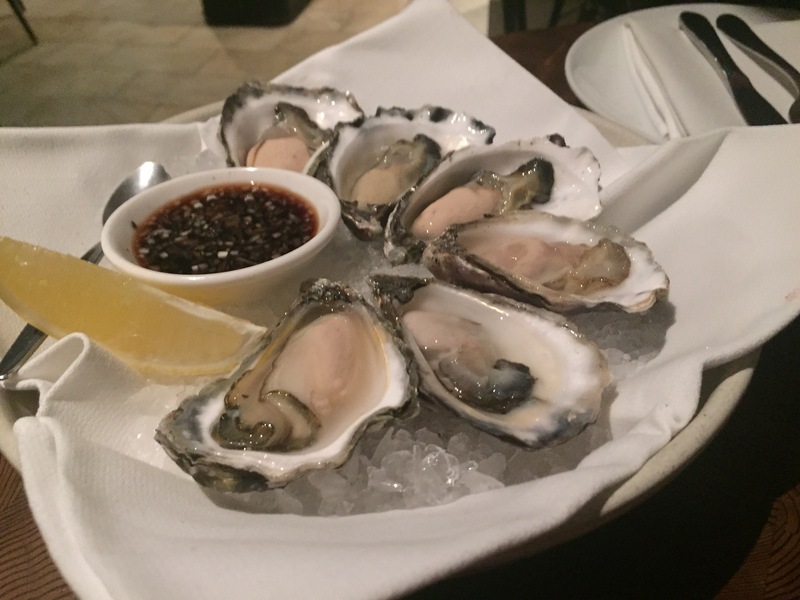 We sip on some prosecco and enjoy a couple of fresh Sydney oysters whilst deciding on the set menu for $80. 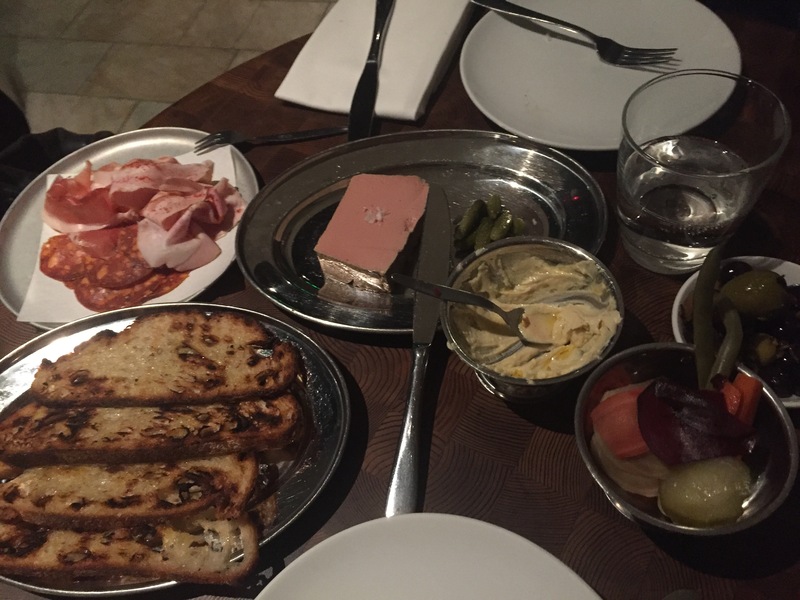 We add on an additional order some of the foie gras. The goose liver parfait is buttery and oh so decadent. Served with crunchy house baked sourdough this dish sets the bar high. 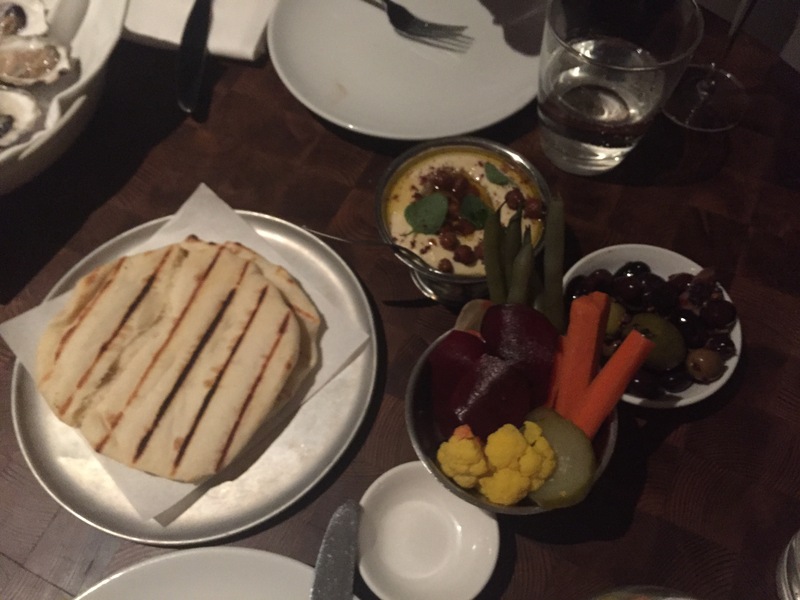 The service is fast with the waiter also quickly bringing over a selection of appetisers to the table including a rustic puree made with brown butter and crispy chickpeas, flatbread and a mix of pickled ciggies and olives. The mixed pickled vegetables are bright and packed with zingy flavour. The marinated olives are also a must. The selection of cold cuts cured in house are what I’m most excited about. The selection of salami and hams look great on the plate but are quite subtle in flavour. Personally I would have liked to have tasted more flavour in the cured meats. But some chickpea puree and pickled veggies with the ham or salami on toast is quite the combo! As the plate of Turkish pumpkin ravioli is placed in front of us we are greeted with beautiful comforting aromas from the burnt butter sauce. The generous serve of house made pasta looks bright and golden on the plate. The pasta is cooked al dente, served hot and full of rich and creamy flavours. The yoghurt on top was a great addition to this dish. A serve of chorizo is up next. The chorizo sausage is served on a silver plate and is topped with a vibrant and delightful salsa mojo verde dressing. With the mains Mercado also serves a chef’s selection from the rotisserie and tonight it’s pork. There’s nothing like a pig on a spit – the rotisserie allows the meat to be cooked in its own fats and juices enhancing the flavour and tenderness of the meat. The end result? A slice of deliciously juicy pork with crispy crackling. 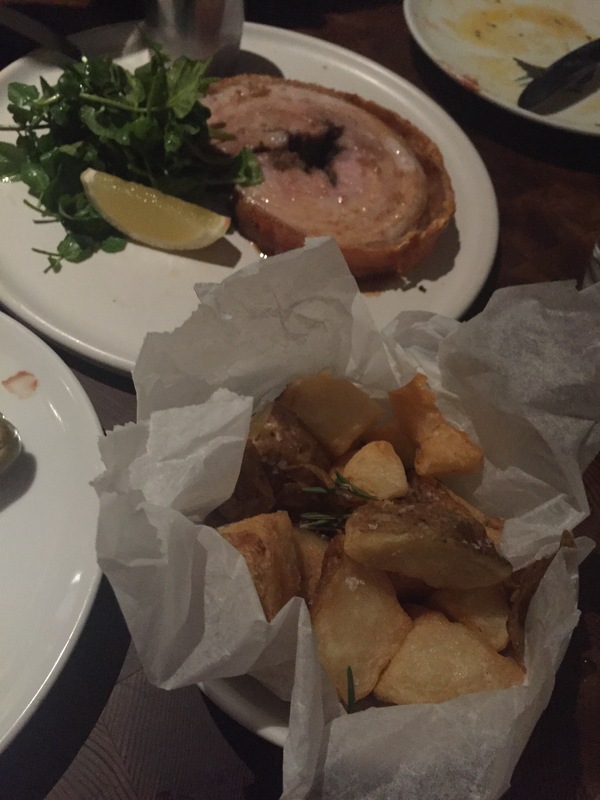 Accompanying our rotisserie pork is a basic salad of mixed leaves and a bowl of crunchy potatoes. Roasted in wagyu fat and tossed with rosemary the potatoes are the favourite! 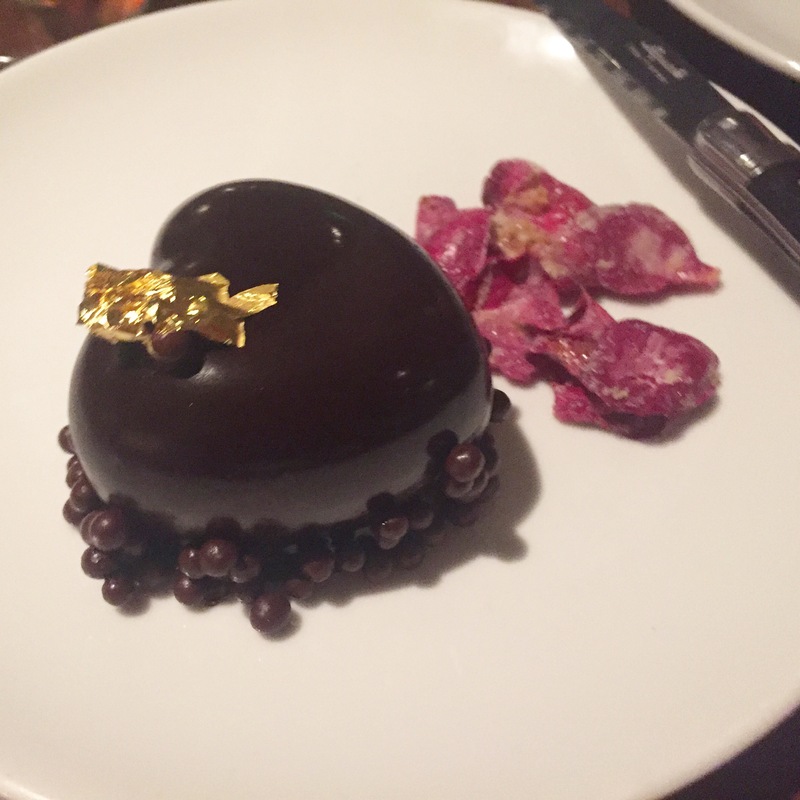 The dessert on tonight’s tasting menu is the heart shaped hazelnut mousse cake with Pedro Ximinez. The rich hard chocolate outer layer is topped with gold leaf and covers a creamy hazelnut ice cream centre. This dessert not only looks stunning on the plate but also tastes divine. 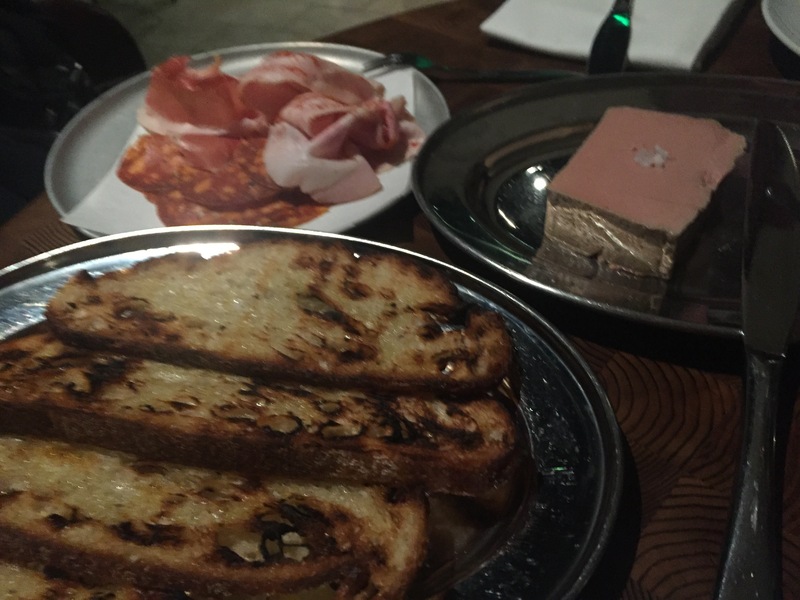 Mercado is a great discovery in the CBD. The service is quick and the food is a wonderful showcase of Spanish flavours and traditional cooking techniques. 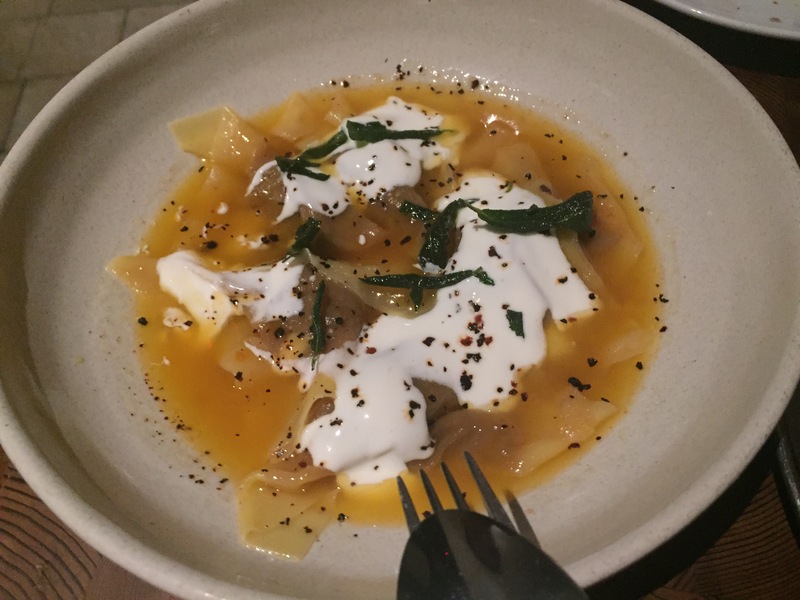 Standout dishes – Goose liver parfait and pumpkin ravioli. Positives – Quick professional service and a wonderful selection of Spanish flavours. 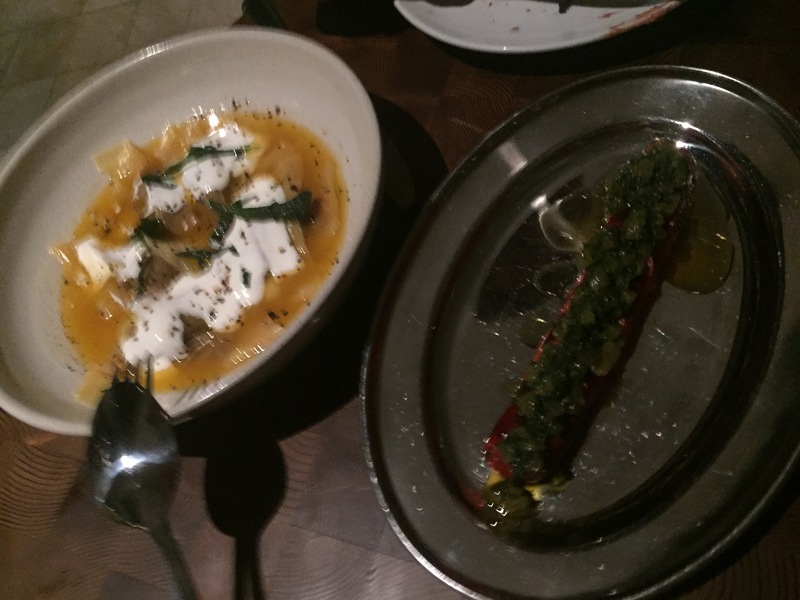 Negatives – Personally I would have loved to have tasted more flavour in the cured meats.